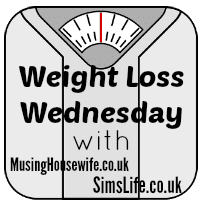 Welcome to Weight Loss Wednesday on Sim’s Life! Another week has gone by, which means another week of not drinking alcohol or lighting up a thinking stick… three weeks into the month! It just goes to show, that if you eradicate all the bad things at once, you have no idea which one you miss, so you don’t actually think about what you used to enjoy! Now, don’t get me wrong, there is nothing I would love more than to scoff a Kit Kat Chunky right now, but deep down, I know that it will not help me on my weight loss journey. I have been ridiculously strict with myself the past couple of days especially and have been attempting to keep my calorie intake well below 1200. Food – Ok, so at 35 daily Weight Watchers points and a Weight Watchers Point being roughly 40 calories, on the diet I am allowed 1400 calories a day. When I consider what I have been eating, 1400 calories is actually quite a lot and does it sound crazy to say I would struggle, unless I was shovelling junk food into my mouth… which I don’t particularly want to do anyway. That’s what I love about Weight Watchers, it totally retrains your eating habits and certain foods may not appeal any more. This can really only be a good thing for me! Exercise – Wooooah, I have totally ramped it up this week! What with 2 gym visits to complete Week 3 of the Couch to 5K, alongside weights, I have also rocked 40 minutes on the bike all but one day when I completed only 30 minutes… as well as epic dog walks in the snow. It’s all thanks to my FitBit Flex which I finally decided to use properly and sync with MyFitnessPal (very clever indeed!). When I first used the FitBit, I honestly thought it was broken, I could not fathom out how to use it. Now, it is on my wrist from when I wake up to when I go to sleep and I completely forget about it. I love how the apps link to each other and keep a track of my exercise, steps taken, distance moved, when you were most active, how many active minutes you have had in a day, how many calories you have eaten and how many calories you have burned. The list really is endless and I am as addicted to it as I am weighing myself every morning when I wake up and every night before I go to sleep. Which reminds me… I have seen several bloggers state they have lost 2lbs overnight in statuses over the past week. Sorry to burst your bubble ladies… it is normal to lose 2lbs overnight… every night! You weigh your heaviest at night and your lightest in the morning… and I can assure you that I lose 2lbs every night, sometimes more. Honestly, take this from the person who religiously weighs every day! So… without further ramblings, the most important part of the post… how am I getting on with weight loss? I am doing ok, this is good and is definitely spurring me on. With only 10 days to go until the end of the month, I fear I may be a pound or two off my target of a stone loss in January, however, I am immensely proud of what I have lost so far. 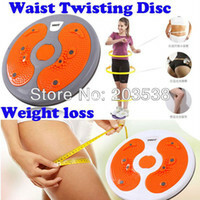 Just goes to show you can lose weight by eating healthily and simply moving more! How are you getting on with Week 3? Are you still enjoying your diet or fitness regime? Is there anything you have changed to make it slightly easier or up the ante? Feel free to share your journey in our weekly Weight Loss Wednesday linky – share some love, motivation and inspiration with other bloggers by commenting on their progress… bring on Week 4!! Can A Tablet Organise Your Life? Weight Loss: The All Important Update! Weight Loss Wednesday: Hello Summer! Well done you!! Although with all that exercise you might not be getting enough calories (she says, the person who is doing EXACTLY the same thing as you… trying to keep to the 1200 range!). It’s not easy is it…! Woohoo congrats on the weight loss! I didn’t know we can sync Fit Bit with My Fitness Pal! Hah, obviously I’ve been living under a rock. 😀 Thank you so much for sharing that. I will be playing around with it tonight. Also thank you for linking up with us at Wellness Wednesday too. I totally agree with your food goals. 1400 calories is very achievable, especially if you stick with vegetables. Also, get carbs into your system with oatmeal. It’s fiber rich and packed with nutrients! Ha, I really cannot help myself, I must think I will magically lose a stone over night – if only it was that simple! Three weeks may not seem much to some, but I commend you. Not just for the weight loss, but more so on not smoking or drinking. Hang in there, and I wish you nothing but the best. Waw nice, you did it, i really hope i can do the same, but i need more exercises to reach the weight loss. but thanks for share, now i know i have a homework, the true homework ‘get the weight loss’. Weight loss is the most important part of fitness and health. Women should consume healthy foods and doing the regular exercise program. Your determination to proceed will give the best result. Well done Sim thats a great weight loss. You should be very proud.! Sounds like you had a great week. I love your comment about the benefit of eliminating all the bad stuff all at once you don’t know which one you miss the most. That never dawned on me. 🙂 Visiting from Wellness Wednesday. Hope you have another great week! Thanks Kylie, I am sure you will if you put your mind to it. I am so jealous of your motivation. I’ve gained weight these past month and I should learn how to exercise and eat healthy again. This inspires me. You’ve done a great job! Congrats on the weight loss. I think you’re ready for 5K since you can already do 40 minutes of bike. An easy paced 5K can be finished in 40 minutes. I’m really late to the ‘Wednesday’ party but added my link anyway and will be more punctual next time! Congrats on the weight loss! I’ve also been running to try and lose weight recently. Keep us updated on your weight loss methods! Fab news on the running Hana! Keep it up – I do find that running is an all round toner, loving my gym time! Will do! Happy for you that your weight is now on check. More veggies and fruits will keep your weight down. I am certainly working hard and reaping the rewards, need to shift a lot more weight yet! Congrats on your 3 week success!!! This is awesome. Some of my new gym stuff showed up this week, I’m excited. I am hoping for a good loss in week 4 and a final roundup at the end of the month – need to push it more. My target was a stone by the end of January and I an so close!! Ohhhh love new gym stuff!! Congratulations on your progress! Thank you for reminding me that we should all put importance into getting fit and healthy. Thank you Fred! Wish I had started properly on the journey sooner but better late than never! Hi! Thank you so much for visiting my blog and leaving a comment! Congratulations on your weight loss! I am also on MFP – it’s such a great tool to use! My username is: meem548 so feel free to add me! Congrats on your achievement. It’s ironic though that to eat healthy most of the time cost more than those junk foods. I really have high respect for those who do weight loss and fitness program because having a weight goal is really hard! It’s good that you document your progress this way so you could be motivated. You’re off to a good start! Keep it up! Geez! This is so amazing! Two thumbs up to you and the other participants of Weight Loss Wednesday! My goal is to lose weight as well, hopefully I can balance my schedule and insert some exercises in it. Wow! You’re ripping that body off? 🙂 Congrats on that weight loss! Thanks for sharing your motivation. It’s a really nice post! Wow… well done on your great week. Weight watchers really seems to be working for you. I attempted it a few years ago, and got stuck after 5 wks, even increase gym visits didn’t help. Good luck with week 4. Well done mate! Just catching up on the last few weeks of #WeightLossWednesday. Wow, i so envy you. a 1lb lost will be a huge milestone for me.